Can you please tell me what these are made of? The perfect choice for busy and high-traffic catering and manufacturing businesses, our Gauntlet Polythene Blue 50 Pk offers an economic solution. 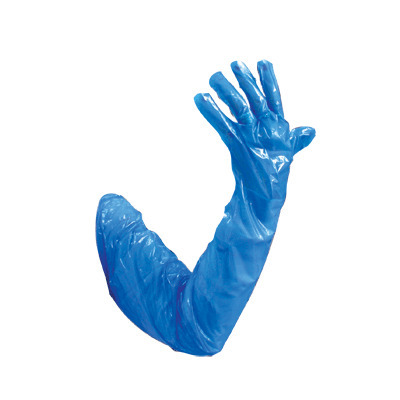 Manufactured from a touch and durable polythene and coloured in a coded blue for easy identification, these longer style gloves protect from the hand right up to the shoulder. 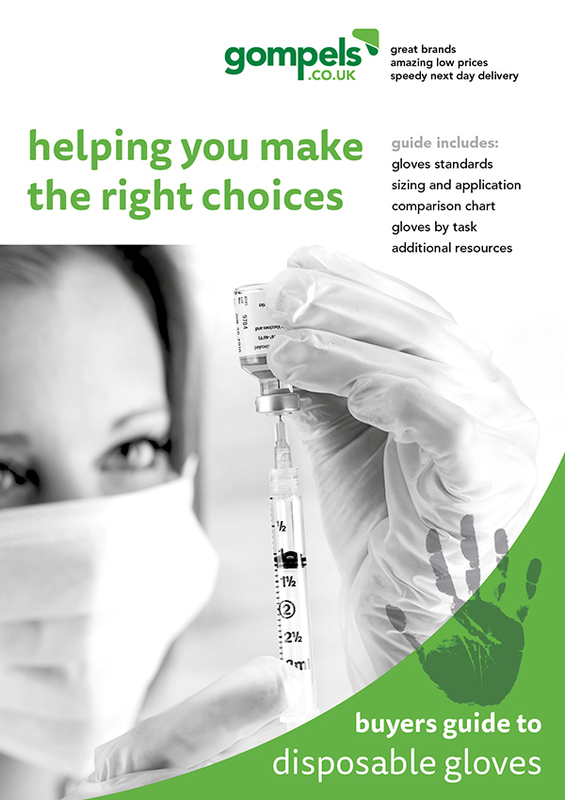 Allowing you full dexterity during use and protecting both your skin and clothes from chemical burns or hazardous liquids, the gauntlet gloves are completely waterproof - making them perfect for both wet and dry handling tasks. Discover protection at exceptional wholesale prices here at Gompels, with items from our Oversleeves Disposable Blue 100 through to our disposable Hair Nets Blue and our Overshoes 16inch Disposable Blue 100.